This solar charger provides a supplementary power source. The solar panel charges the built-in Lithium-polymer batteries during the days. It can be positioned at different angles to catch the sun. Under normal usage, the wireless 3G or GSM waterproof camera will stay powered for over a year. The camera will use the re-chargeable battery inside the solar charger, as the main power source. When the solar charger's internal battery are empty, the 3G or GSM camera will resort to use the batteries within the camera unit (only when the solar charger's battery are fully exhausted). It comes with corresponding power cable for the wireless 3G and GSM cameras. 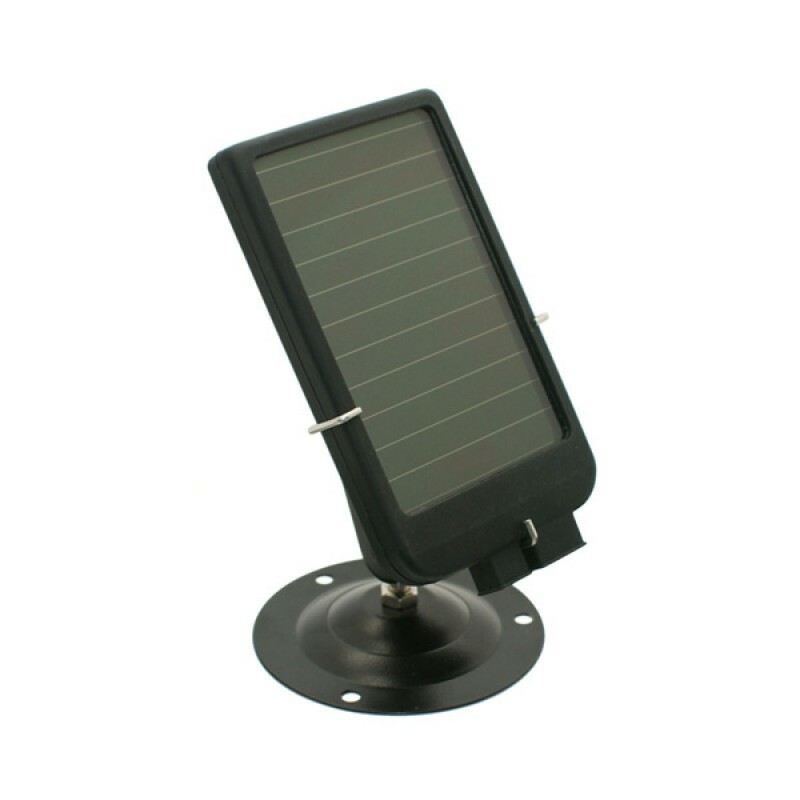 This solar charger can also be charged through the USB cable of your computer or a 5V output power adapter (included in the kit). Safe and resilient to extreme temperatures.